Where was this Underground Railroad stop? 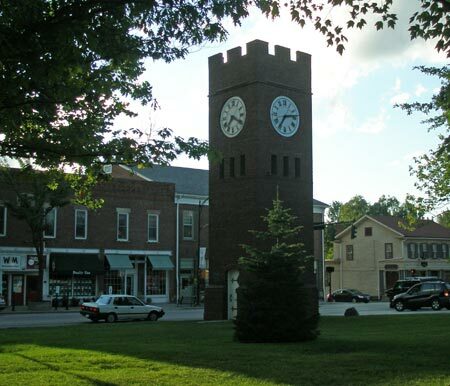 Anyone who has visited Hudson, Ohio will recognize the famous Clocktower in the middle of the quaint shops and historic buildings. Hudson was the original home of what is now Case Western Reserve University in Cleveland. The city of Hudson provides an interesting history of the city on their website including the story of John Brown, of Harpers Ferry fame. 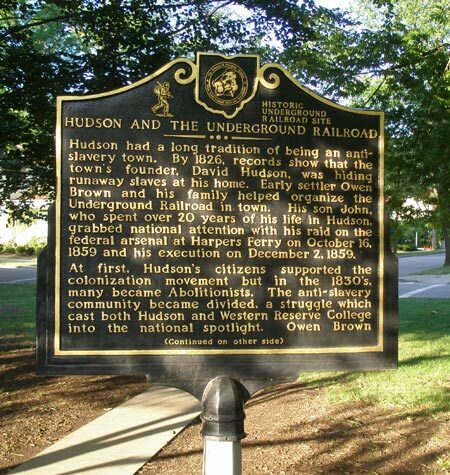 "The Brown family, who had lived in Hudson since 1805, were active abolitionists who participated in the Underground Railroad. John Brown, educated at the cabin school near the downtown Green, became a militant adversary of slavery, eventually becoming involved in the violence in Kansas in 1854. In the summer of 1859, he organized and launched the famous attack on the Federal arsenal at Harpers Ferry. Following the defeat of Federal forces in the Shenandoah Valley, Washington petitioned Hudson for volunteers to serve in the Union Army for three months. Ultimately, 150 men signed on to fight for the Union cause." 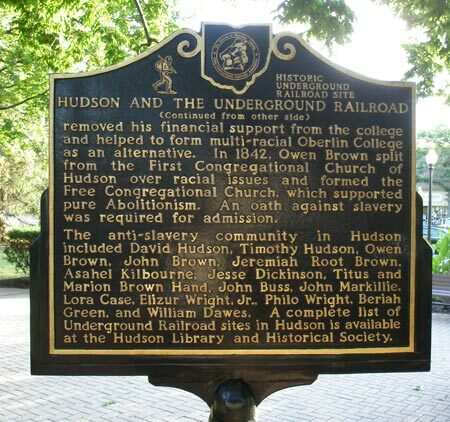 The Ohio Historic Underground Railroad marker honors Hudson's role in the anti-slavery movement. It was dedicated in May of 2000. 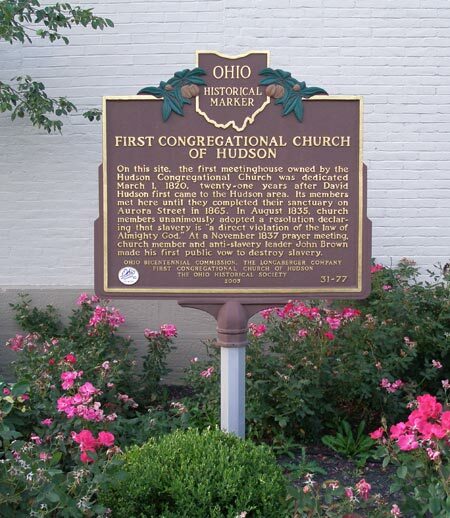 Hudson was the first town in northern Ohio to get a state Underground Railroad marker. Hudson is also home to many historic churches and buildings. A large area of the city was listed on the National Register of Historic Places as the Hudson Historic District. The Hudson Town Hall, 27 East Main Street, was built in 1879 on the site of the original building of the First Congregational Church. It was in the old wooden church that John Brown, in 1837, gave his first public speech denouncing slavery. 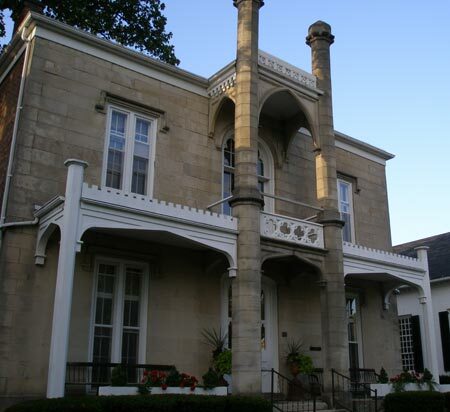 The Brewster Mansion, 9 Aurora Street, was built in 1853, on the site of an earlier wooden home that belonged to the Brewsters. Anson Brewster had purchased the original building from Owen Brown and lived in it until it was destroyed by a fire in 1842. When the Brewsters decided to rebuild on the site, they hired architect Simeon Porter to design a Gothic Revival "castle" for them on the town square. After the deaths of the Brewsters, the building was sold and became the Park Hotel. In the 20th century, it served as a nursing home, and then as an office building. 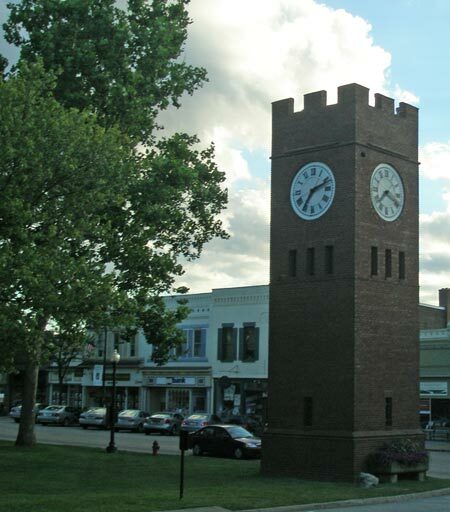 The Hudson Clocktower, was built in 1912 as a gift to the community from multi-millionaire James W. Ellsworth. The clockworks, built by the E. Howard Clock Company of Boston, run on gravity. Originally, the tower had water fountains on its west and north sides. The tower stands 42 feet and nine inches tall. The First Congregational Church of Hudson, 47 Aurora Street, was built in 1865; an addition was completed 2001 on the site of an earlier wing. 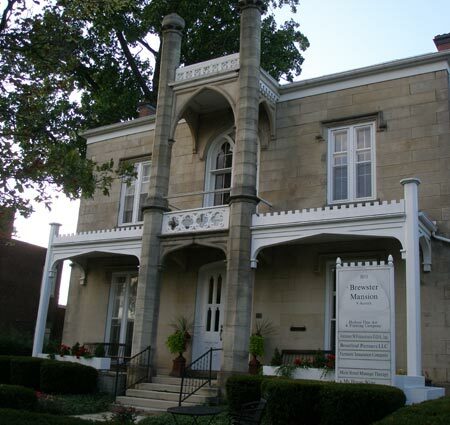 The congregation was founded 1802, and is one of the oldest continuing church groups in the Western Reserve. 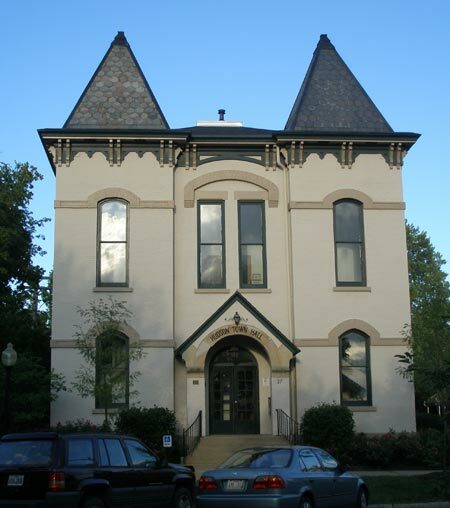 The architect for the Romanesque Revival building was Simeon Porter. "First Congregational Church of Hudson"